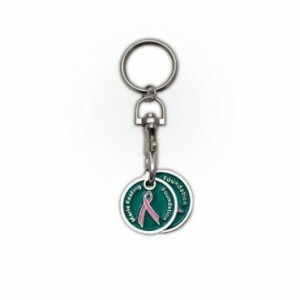 The Marie Keating Foundation has a selection of items that can be sold at events, fairs, offices, and shops to help raise funds for the fight against cancer. These items include bracelets, trolley tokens, pens and pink ribbon pins. All the proceeds from sold merchandise goes to support that Marie Keating Foundation’s mission of making cancer less frightening by enlightening. If you would like more information on any of our merchandise, please contact Fiona at fsullivan@mariekeating.ie or call 01 628 3728. If you would like to purchase any items individually from the Marie Keating Foundation, please visit our online store.